Tigh Sona, Dunhallin, is a two storey apartment ideally situated on Skye’s stunning and very popular Waternish peninsula, commanding magnificent views across Loch Dunvegan. On the ground floor, the open lounge and dining area enjoys the warmth from a traditional stone fireplace with multifuel stove. A welcome pack of coal and kindling is provided for guests. There is a seating area, TV and DVD player as well. The kitchen is well equipped with an electric cooker, fridge-freezer and washing machine as well as all kitchen appliances and cooking utensils you’ll need. Upstairs there is a spacious twin bedroom furnished with a chest of drawers, dressing table and bedroom chair. 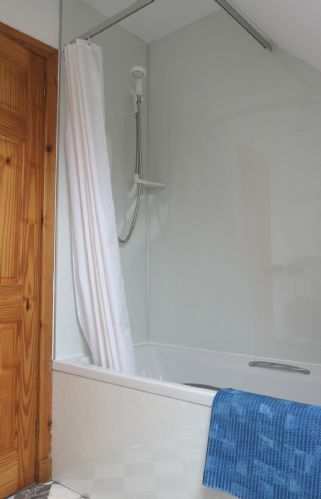 The bathroom has a WC, wash hand basin and electric shower over the bath. 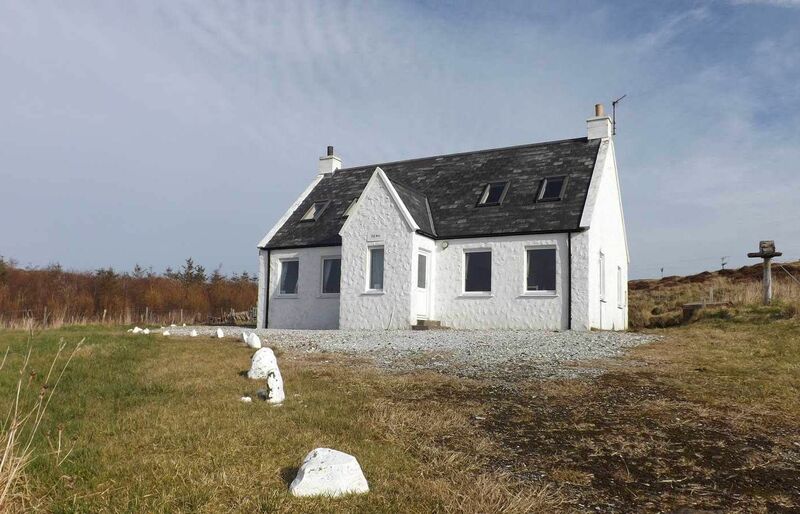 The cottage is set in approximately 4 acres of croft land and there is parking space to the front of the house. Please note: Tigh Sona and Island View are two apartments within the same building. 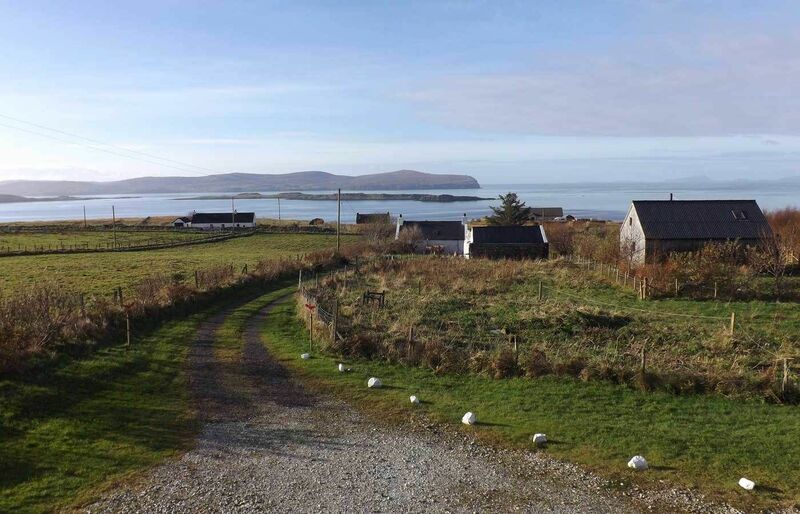 Tigh Sona is a two storey apartment with living area on the ground floor and the bedroom and bathroom upstairs whilst Island View is a ground floor apartment.